Sylvain Plommet (double bass); Christophe Lagane, Guillaume Goussault, Sébastien Giniaux (guitar). The French-American collective Swing de Paris is no run-of-the-mill jazz ensemble. 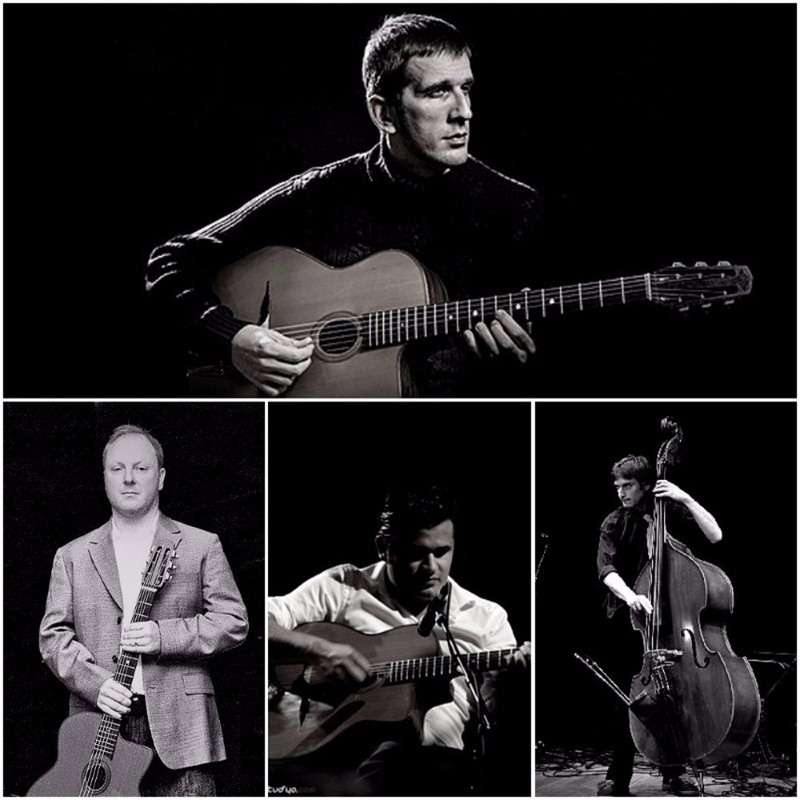 Its four members shuttle back and forth between New York and Paris to demonstrate their love for the gypsy jazz of icons like Django Reinhardt and violinist Stéphane Grappelli. Spontaneity is key for the ensemble because in this style of music the orchestration and arrangements are not set down in advance. In a classic quartet formation, Swing de Paris perform a tribute to the golden years of gipsy jazz, especially the Hot Club of France movement, in which (in the pre-war period) highly talented young musicians proved that jazz could swing without drums and trumpets. A unique time in the history of jazz which today still influences the direction many young artists take.